If you want to change settings on your Jetpack to help maximize battery life, view this info. The Sleep option can be selected from the device. When turned on, the screen is only lit when interacting with it. 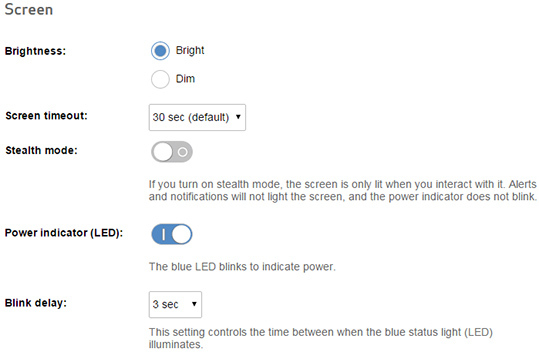 Alerts and notifications do not light the screen and power indicator does not blink. Slide the switch to turn on or off . When turned on, the blue LED blinks to indicate power. Slide the switch to turn on or off. The save option only appears once a change has been made. In order to ensure the device is powered on, press the Power button (located on the top edge).